Shipments of Latin music CDs grew by 13 percent in 2005, representing a 15 percent increase in value, according to annual data released by the Recording Industry Association of America (RIAA). Total Latin music shipments to retail jumped 14 percent – 55.6 million units in 2005 compared to 48.6 million in 2004. That translates into a 16 percent growth in dollar value. DVD music video shipments also increased steadily, experiencing a 34 percent gain in units shipped to retail and a 35 percent increase in dollar value, compared to the previous year. The total suggested list price for the industry was $753.7 million. The total wholesale value of the industry was $463.8 million. Reflecting the growth and popularity of Reggaeton, the subgenre of "Urban Latin" has been added to the RIAA shipment report. 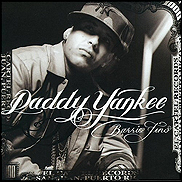 Daddy Yankee, Don Omar, Wisin & Yandel, and Hector "El Father" all helped fuel the Latin marketplace's strong performance in 2005. In addition, Latin pop has performed well, with breakthough artists such as RBD, Juanes, Alejandro Sanz, Bebe and Shakira. Additionally, the RIAA continued to initiate and implement specific programs aimed at the Latin music piracy problem. 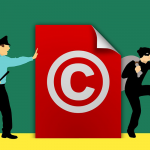 For the Latin music genre, traditional physical goods piracy remains an acute threat: Latin music accounts for about 6 percent of the overall U.S. music market, yet nearly 40 percent of all pirate product seized by RIAA investigators. "Fueled by the emergence of Reggaeton, strong musical acts and stepped up anti-piracy enforcement, Latin music is again enjoying a very good year," said Rafael Fernandez, vice president, Latin Music, for the RIAA. "New artists and emerging formats are invigorating the Latin music scene and exposing Latin music to new fans."